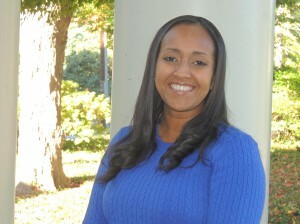 Meet the New Director of Undergraduate Admissions! We are excited to announce Kidesti Teklegiorgis as the new Director of Undergraduate Admissions at Philadelphia University! Join us in welcoming her to the PhilaU community and Undergraduate Admissions team! Director of Admissions at PhilaU. Q: What attracted you to work at PhilaU? A: Many factors! PhilaU has a beautiful campus, distinctive programs and an innovative curriculum. Our Nexus Learning approach is unique to PhilaU and prepares our students for their professional careers. Q: How have you liked the new role so far? A: I love it! I have a great Admissions team to work with. Everyone on campus – students, faculty and staff have been so welcoming, I feel right at home. I am honored to work at PhilaU. Q: What do you think is the most important quality in a prospective student applying to PhilaU? A: Students who are ready to work hard, be creative and think outside of the box. We want our students to be ‘doers’, those who want to do bigger and better things and become leaders on campus and in their community. Q: In your opinion, what sets PhilaU apart from other colleges/universities? A: PhilaU’s career-oriented programs and our commitment to preparing students for the real world. We want students to not only graduate, but to have a job in their profession after graduating. Our 94% job placement rate within 6 months of graduating is proof of the power of a PhilaU education. Q: What do you like best about the city of Philadelphia? A: Philadelphia is a great city rich in culture and history, plus there is so much to do. And let’s not forget the cheesesteaks! While the Philly cheesesteak battle is typically between Pat’s and Geno’s, I personally like Tony Luke’s and Dalesandro’s. Q: Do you have a favorite restaurant in the city? A: I have two: Winnie LeBus in Manayunk and La Viola in Rittenhouse Square. Q: If you could give one piece of advice for prospective students/families what would it be? A: Visit campus before choosing a college! It is the best way to see the campus culture, try out the food, sit in on a class, etc. Don’t limit yourself to one visit. At PhilaU, we offer a variety of visit opportunities. For example, our Shadowing Program gives accepted students the opportunity to spend the day with a current student. Q: Any fun facts about yourself that you would like to share? A: I love to watch comedy shows. My favorites are Modern Family, Brooklyn 99 and Parks and Recreation. Next Next post: Calling all Day, Undergraduate Spring 2015 Transfer Students!